George’s father has a serious heart problem that requires surgery and George chooses Burke to do the procedure. Burke doubts himself because he knows the pressure this kind of surgery will put on him, but Cristina believes the team can handle it. 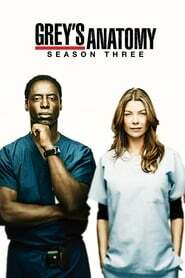 Derek works with Meredith on being a couple again and tries work with Addison on more civil terms. A patient has had mutiple plastic surgeries so that his girlfriend will like him more. A mom wants her daughter’s babysitter fired, after she is brought in with multiple injuries, but the girl likes the babysitter more than her mother.